Cliftonville slumped to an abysmal North Belfast Derby defeat at Solitude this afternoon. Crusaders took a second minute lead courtesy of David Cushley’s penalty, with Paul Heatley making it 2-0 before the break. The Reds should have been awarded a 49th minute spot kick when Michael Ruddy handled inside the box but, from the resulting Crues breakaway, Cushley’s added number three. 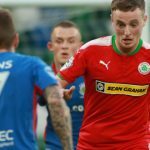 A woeful home display continued as Heatley added another two to wrap up his hat-trick ahead of Rory Donnelly netting a consolation for Cliftonville. The writing was on the wall from early on when referee Andrew Davey adjudged Jaimie McGovern to have tripped Declan Caddell inside the box, providing Cushley with the opportunity to step up and beat Richard Brush from the penalty spot. It was 2-0 soon later when, following the ref’s failure to spot a clattering foul on Rory Donnelly, the Crues poured forward with Heatley rifling the ball in off the underside of the bar following some smart build-up play from Cushley and Ross Clarke. 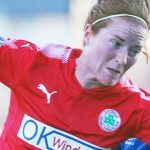 Cliftonville should have been afforded an opportunity to halve the deficit early in the second period when Ruddy handled inside the box but, again, Davey was deaf to the appeals as the visitors broke on a counter attack that ended with Cushley powering an unstoppable blast beyond Brush. 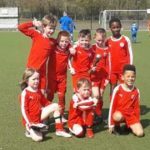 Cushley turned provider on 72 minutes for Heatley to make it 4-0 before the same player bagged his hat-trick with four minutes to go after being released after a Rory Patterson-Clarke one-two. Rory Donnelly did tap home a consolation for the beleagured Reds a couple of minutes later but it did little to lift home spirits on an afternoon they’ll want to forget. 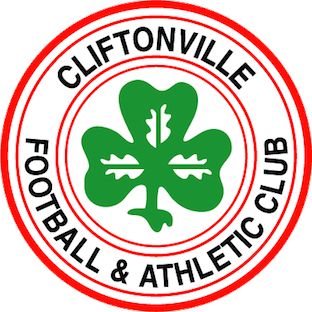 Cliftonville: Brush, McGovern, Ives, Harney, C Curran, Garrett, R Donnelly, Catney, McConnell, Gormley, A Donnelly. Subs: McKenna, Breen, Harkin (McConnell, 54 mins), R Curran (C Curran, 77 mins), Bagnall (Catney, 77 mins), Maguire, McMenamin.